LOOK NO FURTHER!!! 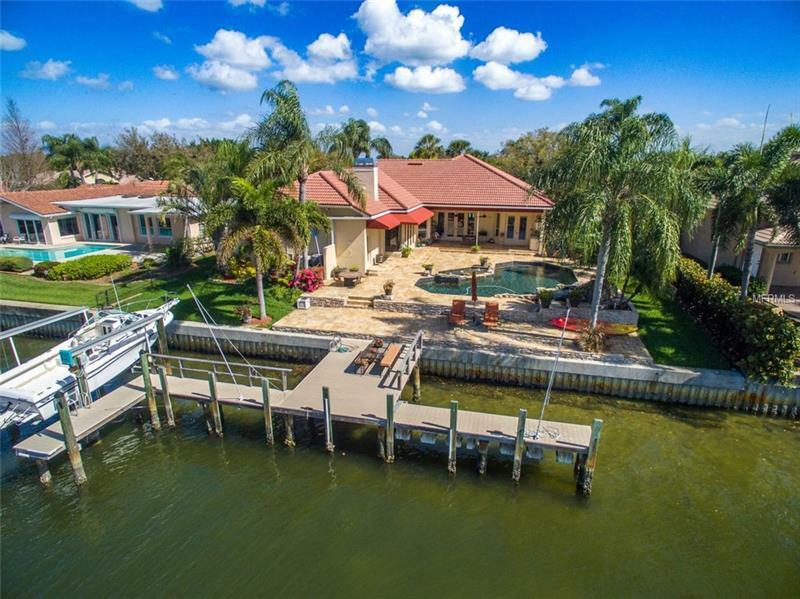 Fabulous waterfront home located in Venetian Isles NE- Originally built in 1992 this home features all the high end demands of new construction with 4 bedrooms 3 bathrooms split plan an office and 3233 sq feet. 3 car garage. Vaulted ceilings and a water view from every room. This home is sure to impress. Open concept functional floor plan with centrally focused kitchen. Separate formal living/dining area family room with fireplace breakfast nook with french door access along back to patio making it perfect for entertaining. Master suite boasting large master bath with dual sinks garden tub with separate shower and large walk in his and her closets. Large covered and private porch with wet bar opens to the pool. Interior/Exterior Surround Sound. BRAND NEW HURRICANE ROOF 12/17. Spacious indoor laundry room with storage. Storm Shutters. Dock with trec decking sailboat slip boat slip and 8k boat lift. OPEN access to Tampa Bay and downtown St.Petersburg on a protected sailboat water location. Come see what Venetian Isles living is all about! !